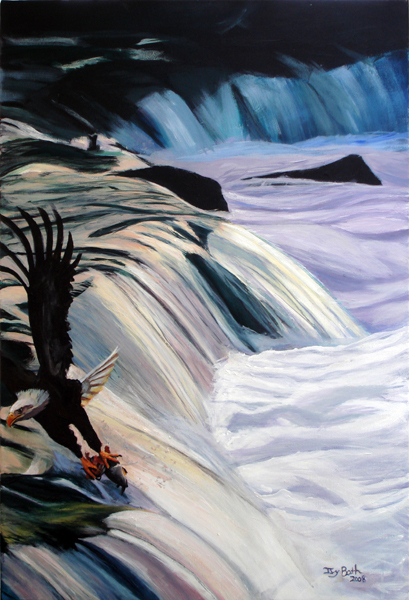 Eagle Fishing the Falls. In this piece there is a freedom to it that takes you away. I get lost in the waterfalls finding the edges of the land and the water flowing over them.